Have you been looking for mobility aids in Dublin? If the answer is yes, then the ISB Mobility website is where you need to be. We have been running since 1999 and have since grown in to one of Ireland’s most sought after companies in the disability access market. We stock a wide range of premium quality products for the most affordable prices. Simply head over to our website for more information on our products, or ask us for a free quote today! Are you looking to purchase an electric scooter in Ireland? Welcome to ISB Mobility, one of Ireland's leading companies offering a range of first class mobility products. We are a dedicated company first established in 1999, and have provided our services to hundreds of people throughout the whole of Ireland. Whether you need an electric scooter or an access ramp installed into your home, we will have something that meets your requirements. Please get in touch with a member of our team for a quotation. Are you looking online to purchase the very best rollators on the market? If the answer is yes, then ISB Mobility is the company you need to get in touch with today. We are a dedicated company, established in 1999, supplying a range of premium quality mobility products for highly competitive prices. 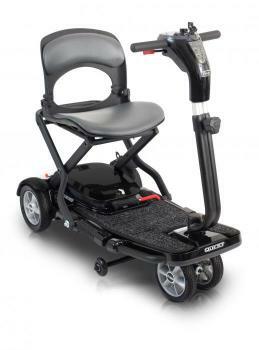 Whether you are looking for rollators or a mobility scooter or a stairlift, we will have something to suit your needs and wants. Just head over to our website to have a browse through our product range. Do you struggle with your mobility or know someone who does? Have you been looking for affordable scooters in Ireland? If the answer is yes, then the ISB Mobility website is where you need to be. We are a dedicated company, first established in 1999 and are one of Ireland’s leading suppliers of mobility aids. Whether you want to gain independence or want to be able to travel to the shops without struggling, we will have something to suit all of your needs, budget and requirements. Have you been looking to purchase mobility aids in Ireland? If the answer is yes, then the ISB Mobility website is where you need to be today. We are a leading mobility company offering some of the very best products in Ireland. Whether you have been looking to purchase a wheelchair for a loved one or need to install a stairlift, we will have something to suit all of your specific requirements. Why not head over to our website and have a look at our wide range of products? Have you been looking online to purchase the very best disability aids? If the answer is yes, then why not get in touch with ISB Mobility today? We are a dedicated company first established in 1999, offering some of the very best products in the disability access market. Whether you have a loved one who needs to regain independence or you need an aid to help moving around your home, we will have something that suits all of your needs and preferences. Just head over to our website to take a look. Have you been searching for a reliable scooter shop in Dublin? Here at the ISB Mobility website, we sell a large array of mobility products, all designed for different purposes and requirements. As a business, we have been established since 1999, where we have gained a wealth of knowledge about the trade and each product that we sell. Since then, we have also become a subsidiary of Irish Stairways Ltd, where we have further increased our product variety and market dominance. Trying to find one of the very best recliner chairs in Dublin? If you are, be sure to visit the ISB Mobility website today. We are a devoted business that have a range of mobility aid products available to make your life a little easier and more convenient, with recliner chairs being just one of the products we have available. As a business, we are dedicated to providing the very best products and information available, so be sure to get in touch with our team to arrange a visit to our showroom to see what we have to offer. Are you looking for buy reliable rollators in Ireland? Welcome to ISB Mobility, one of the leading mobility aid shops in Kildare, Dublin. Recently we became a subsidiary of Irish Stairways Ltd, a move that has opened us up for further development and knowledge within the market. As a business, we are heavily focused on customer advocacy, where we always aim to leave every client 100% satisfied with the service we provide. The Globe Trotter travel scooter folds in seconds with just the touch of a button! Use the remote control to fold and unfold the scooter in just 10 seconds!